Uber now allows in-app tipping. Will you tip? According to a news release from Uber, tipping is now available in Seattle, Minneapolis, and Houston starting on June 20, 2017 and will be rolled out nationwide by the end of July. Previously, cash was the only way to tip an Uber driver. 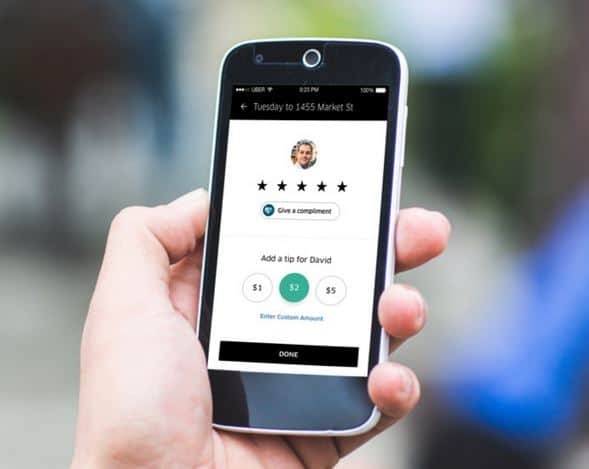 After your ride is complete and after you’ve rated your driver, you can now elect to tip right in the app. The driver gets 100% of the tip and riders can tip for up to 30 days following the ride. While Lyft and Gett have promoted in-app tipping since inception, an original promise of Uber was that the fare included tip and the driver was paid a fair wage. But since the driver has to pay a large percent of a fare to Uber and not for a tip, there is a big difference in a few bucks of fare vs. a few bucks of tip. How do you feel about this? Will you begin tipping once it is available or do you feel that the Uber fare should be inclusive of gratuity?